"As Search Engine Marketing grows as an industry, it's inevitable that new technology will evolve to fill in the gaps where current solutions fall short. Case in point is WordStream, a new SEM tool that specifically helps raise productivity for handling, assembling, and segmenting your keyword list." "I rarely get excited about SEO and SEM tools...But, when it comes to keyword research it is virtually impossible to produce a quality worksheet without software. When I have to perform the same task for my customers, the process is even more daunting and time consuming...there is now a better way to manage huge keywords lists and this tool is called WordStream." The Keyword Niche Finder is 100% FREE! Why Do I Need a Niche Finding Tool? How is the Data so Accurate? How Do I Save My Keyword Niches? Want to know more about The Free Keyword Niche Finder, like what are "keyword niches," or what does "relative frequency" mean, or where do we get the data from for our keyword finder? Then, keep reading or you can use the links to the right to jump down to a particular topic of interest. Yes! Our Keyword Finder is Free! Guests can use the Free Keyword Niche Finder free. You get 10 free searches up-front, and one free search per day going forward. You can have the entire list of keywords mailed to you for free as well. Keyword niches are groupings of tightly related keywords that can be used to drive paid (PPC marketing), organic search marketing and other niche marketing strategies. The process of manually performing keyword research and organizing your website keywords to find valuable niches can take hours, even days, using typical keyword tools. WordStream's Free Keyword Niche Finder automates that process so you can find keywords in the most profitable groups to target in just seconds. Our niche finder software can help in Identifying keyword niches allows you to prioritize your SEO workflow, identify promising topics for Web content and blog posts and help ensure that your website is optimized for the most profitable SEO keywords. Identifying niches of popular PPC keywords and AdWords keywords in your vertical allows you to create a strong PPC account structure at inception. This will save you time and money by delivering more relevant ads, which in turn generate more clicks and improve your Quality Score. This aggregated keyword data represents over a trillion search queries, and hundreds of millions of related terms from diverse keyword sources, including ISPs, browser toolbars, and search engines. By drawing from diverse keyword data sources and by weighting data appropriately, we're able to provide a more comprehensive and less biased mix of both head and long tail marketing terms for you to use in PPC and SEO activities. How Does The Free Keyword Niche Finder Work? Our free keyword finder scans a keyword database of over a trillion search queries to find the most relevant and potentially profitable keyword niches. Our proprietary keyword grouping algorithm determines semantic relevance and automatically groups keywords into closely related clusters you can target with pay-per-click advertising and Web content optimized for organic search. What If I Already Have a List of Keywords? If you already have a keyword list, you can use the Free Keyword Grouper to segment it into tightly related groups. Just paste in your list (up to 1,000 keywords) and the tool automatically groups them by relevance into themed clusters. You can have your keyword niche results emailed to you in a zipped file. How Do I See More than 10 Groups? When you clear out a keyword group from the results (using the red X button next to that niche), another group will be added to the results. 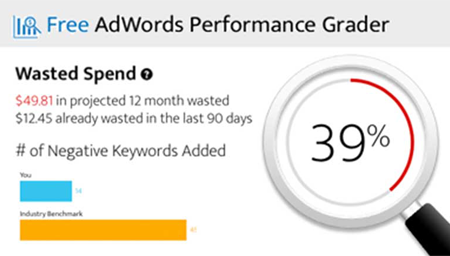 You can repeat this process until you've seen all the available keyword groups. However, the tool only displays 10 keyword niches at a time. First, here’s some background on us. Besides our keyword finder, WordStream provides a full suite of search marketing management solutions, which includes PPC software, a keyword analyzer and a host of next-generation SEO and PPC tools as well as an advanced AdWords tool, for conducting proprietary keyword discovery, keyword research, keyword suggestion and keyword organization. That said, WordStream will never provide or sell the names and private data of our customers or site users to outside companies. WordStream employs various security measures, including Secure Socket Layer (SSL) protocol, to protect the loss, misuse and alteration of information under our control. Additionally, the private keyword data provided by WordStream users is in no way shared or integrated with the Free Keyword Niche Finder. Relative frequency is our estimate of how often a particular keyword is searched on. A higher relative frequency means that the keyword is searched on more frequently, which can mean a greater degree of keyword competition.